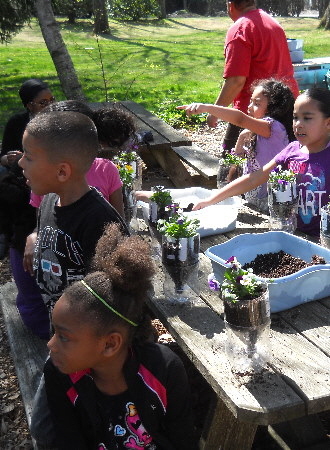 What better way to celebrate Earth Day, Mother's Day, or just being outdoors! Our Environmental, Horticultural and Agricultural program has something for everyone. The program can be tailored to your group's particular needs. The day will consist of motivating, simple and enjoyable activities. 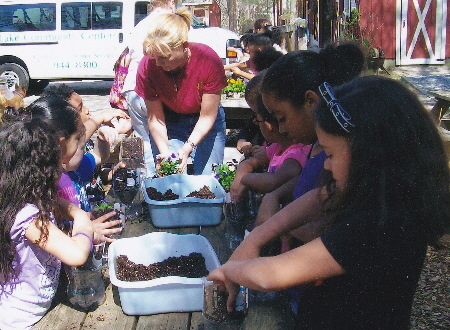 These activities provide experiences that involve the senses, while focusing on the connection between people, plants and the environment. Having a connection to nature nurtures and enriches us all! Your day can begin with a horse-drawn wagon ride, followed by the environmental and horticultural portion of the program. 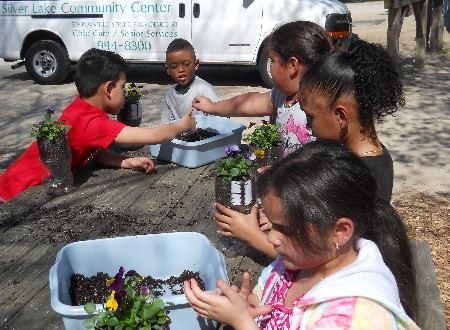 We will re-purpose and reuse materials to make self-irrigating planters to be enjoyed back at school or home. We will then feed our four legged friends in the Petting Zoo. Your group is welcome to bring along a snack or lunch to be enjoyed in the picnic area, by the campfire. Call Jody Esposito at 401-568-9996 to learn more or schedule a visit to Chepachet Farms for The Green Thumb Program. Chepachet Farms is owned and worked by Jody & Neil Esposito. Jody is a graduate of RISD Culinary Arts program and a certified RI food safety manager. Jody is registered with the per partners in animal assisted programs, and holds certificates of completion in horticultural and agricultural activity programs. Chepachet Farms is registered with the USDA for animal welfare. © Copyright 2013-2019 Chepachet Farms. All rights reserved.